Making your own lampshades allows you to create something so personal and unique for your home decor. DIY lampshades are also perfect to bring new life to an old lamp. You can tailor the color and fabric of your lampshade to accentuate any type of decor in any room in the house. ● If you don’t already have a lampshade you want to reinvent, you can easily purchase an economical plain white shade from your nearest superstore. ● Sweaters, especially ones we no longer wear, or received as a gift, are normally an item most people have in their closets. However, if you love and wear all your sweaters, picking up one a thrift shop or Goodwill is a wonderful option. 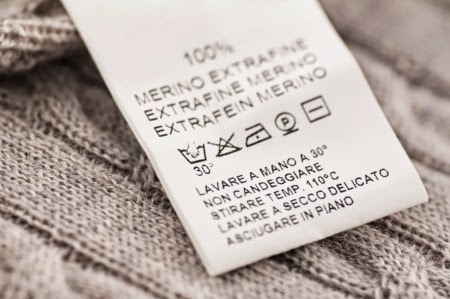 ● If you purchased your sweater for this project from a thrift store, give a quick wash first, just to get that thrift store smell out of it. Often clothing can sit or hang for a very long time in these types of stores. ● A medium-sized sweater is perfect for this project. Larger sweaters may not fit your lampshade as tightly as it should. ● Once you have a lampshade and a sweater, simply begin by pulling the sweater over your shade as you would pull a pillowcase over a pillow. The waistline of the sweater should be pulled down towards the bottom of the shade. Trim any excess material at the top leaving about 1 inch of sweater fabric all around the top of the shade. ● Using hot glue, secure the top of the fabric to the shade. If your sweater fits snugly enough around the shade, you may not have to secure the bottom. You can simply allow it to hang. But if your sweater is a bit large, then you will need to also secure the bottom all around with hot glue. As easy as pie, you now have a unique and cozy lampshade that is a beautiful accent to winter and spring decor.